Now that the kids are back in school, we need easy and delicious after-school snacks at the ready! I don’t know about you, but my kids always come home so hungry. 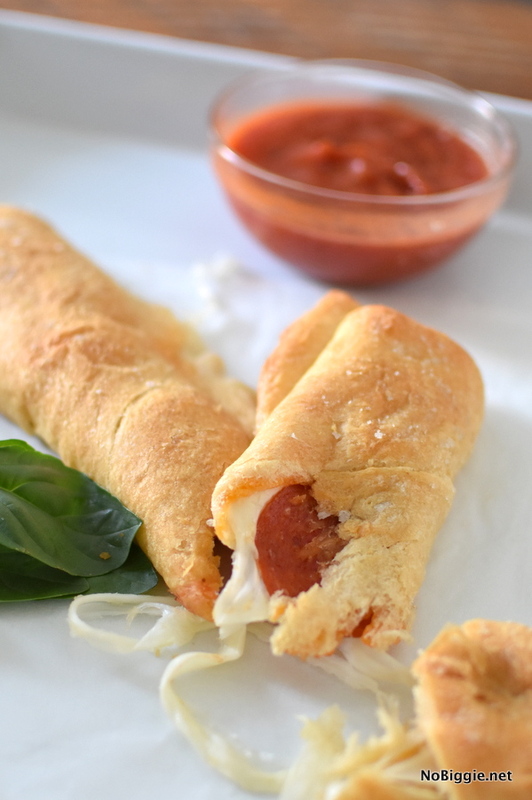 We’re making Pepperoni Pizza Twists because one…they are so easy, and two…they’re delicious! My kids LOVE them! 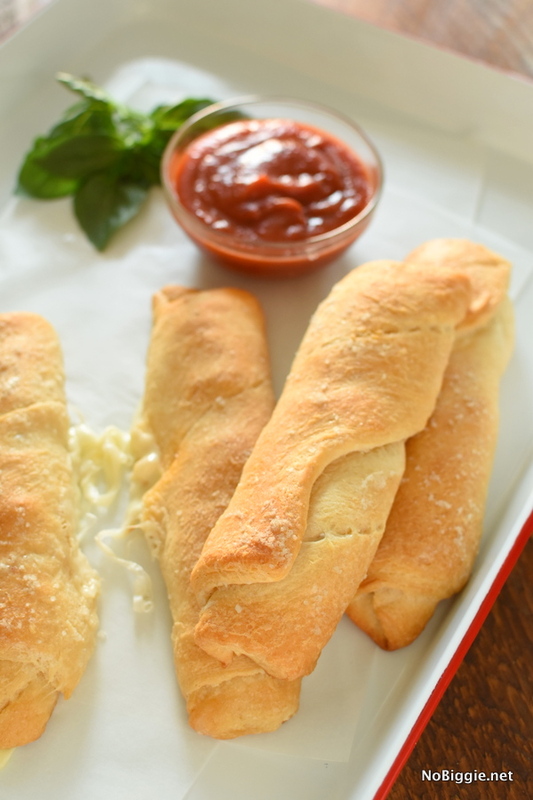 Serve them with a side of marinara for dipping, and it’s the perfect after-school snack to hold them over until dinner is ready. 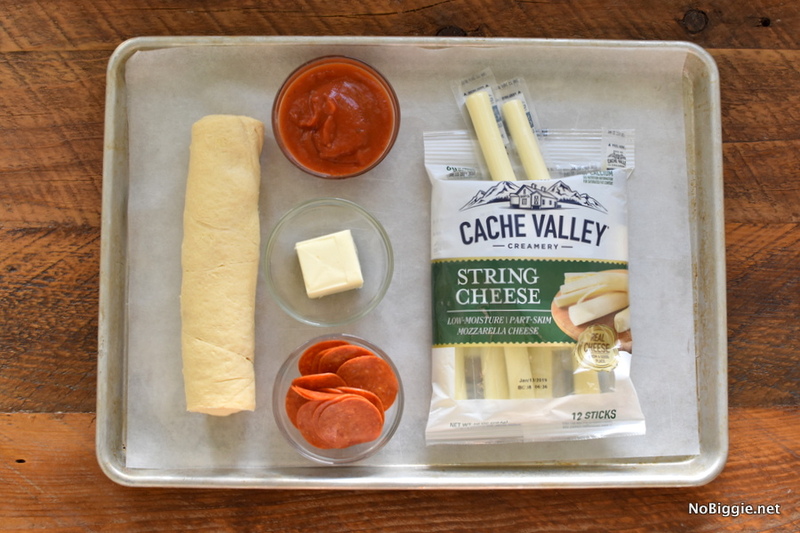 I’ve teamed up with Cache Valley Creamery to share with you this tasty recipe that incorporates their delicious Cache Valley Creamery String Cheese. 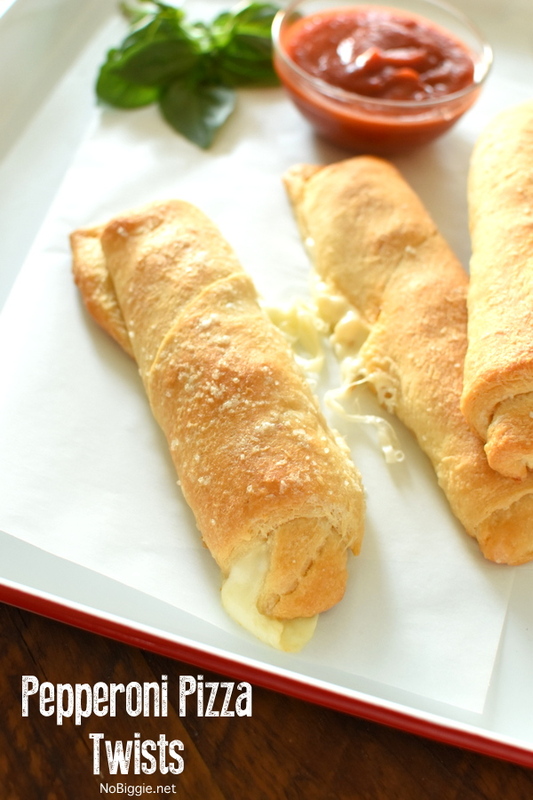 We LOVE Cache Valley Creamery Cheese, and they make these Pepperoni Pizza Twists so good! 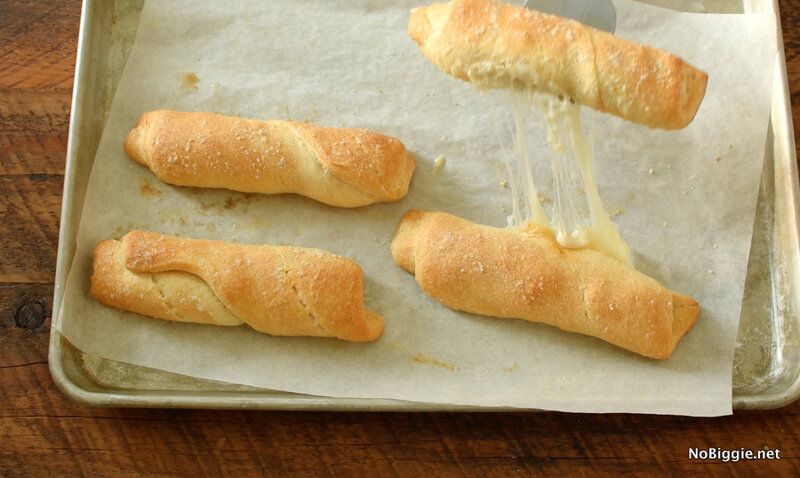 We love the Cache Valley Creamery String Cheese on its own, but it melts so smooth for these Pepperoni Pizza Twists…it’s so delicious. 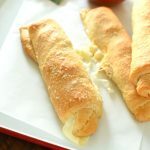 Open the can of crescent rolls. Press two triangle crescents together to make one rectangle piece. Repeat this until you now have four rectangle pieces. 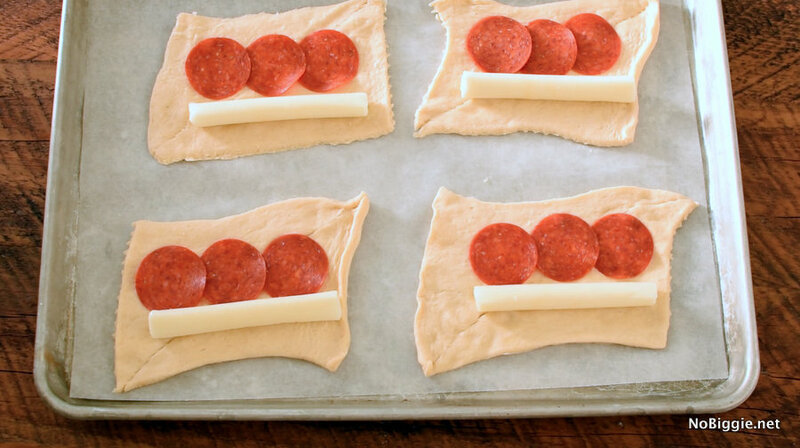 Add one piece of string cheese and three slices of pepperoni to the center of each rectangle piece of dough. Wrap both sides of the crescent dough around the cheese and pepperoni. Gently twist the dough around the cheese and pepperoni. Brush the four twists with melted butter and sprinkle with sea salt. Bake for 6-10 minutes until lightly golden brown. Serve with marinara sauce for dipping. Enjoy! Since 1937, Cache Valley Creamery has been offering delicious cheese and butter using only the best quality ingredients to families in Utah and the surrounding areas. Cache Valley Creamery believes that good dairy products come from a good place. That’s why they take so much inspiration from the people, values, and beautiful landscape of the Cache Valley area, where it all began over 75 years ago. If you’re in Utah, be sure to visit them at Carnival Real before the game on September 1st and stop by the Cache Valley Creamery booth at the Mini Foot-Golf Course (outside Rio Tinto Stadium), where Fans can sample delicious Cache Valley Creamery String Cheese and spin the Cache Valley Creamery Cheese Wheel for a chance to win fun prizes. Soccer Fans can also buy a gourmet grilled cheese made with Cache Valley Creamery Naturals Slices at the Royal Grilled Cheese Cart on the Rio Tinto Stadium concourse during regular season home games all season long. *This is a sponsored post by Cache Valley Creamery. All opinions are my own. Thank you for supporting the brands that keep me cookin’. These grilled chicken burrito bowls are another favorite!